According to the Quintana Roo News today, "For the next two years projects with assets now totaling over 300 million dollars for the state will be recieving capital investment," said Juan Pablo Mirabent, president of the Association of Real Estate Professionals (AMPI). Of the total investment that will trigger the real estate sector, $ 350 million is for luxury developments such as Puerto Cancun, Cancun Malecón. 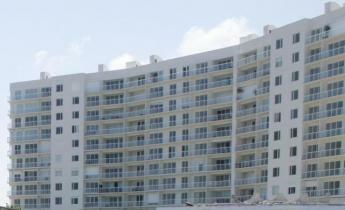 In addition also provides for the construction of a hotel in Puerto Morelos. The other considered projects include Marina Cozumel. The interviewee highlighted as a "great project of the National Fund for Tourism Development" and stakes to build a hotel on the Riviera Maya, whose announcement was made yesterday following publication of state investments that reactivate the economy of Cancun, said real estate leader. To note, there was talk of an even larger invesment, "an investor announced a large injection of 800 million dollars for the initial phase of a luxury hotel between Puerto Morelos and Playa del Carmen" said Mirabent. However, it more realistic to expect the 300 million to affect the economy in the short term. The projects to be reactivated in Puerto Cancun, ocean waves, will have 100 to 150 million dollars from the group Bay View Grand, he said. This is a condominium project in the central part of the area. A Spanish investment group will be allocated $ 100 million also for Puerto Cancun. This part is already in the process of marketing and is expected to be completed within a couple of years. It is also considered the reactivation of Malecon Cancun will be the capital of the National Tourism Fund and private developers. For the resort in Puerto Morelos, $ 100 million earmarked by the group Grand Residence, which has strong national capital to shareholders, he said. All these investments to our destination are real indicators of the beginning of a period of recovery in the housing sector entity, with its positive effects of trawling on the state's economy, said Mirabent. The expert noted that the reactivation process is evident also by other factors such as better placement of bank loans and the allocation of funding from the National Fund for Workers' Housing. "